Doggy Fun by HappiPets noticeably resembles the infamous iFetch, yet ultimately falls short. Only one size is available (small) and the balls are rubber instead of typical tennis balls. HappiPets entered the automatic ball launcher arena with a product that very closely resembles (aesthetically) the iFetch launcher. Doggy Fun is specifically made for small dogs only and does not have a larger version available for sale at this time. One thing we would like to point out at the beginning is in regards to the HappiPets Doggy Fun branding. We were a bit confused when we received our launcher in the mail and opened it up to see the user manual calling the device a SereneLife ball thrower. After looking into it, there was also a SereneLife ball thrower on Amazon that looked exactly the same (this listing is now removed). It appears they went through a bit of a brand change and ended up riding with Doggy Fun. Nonetheless, we fully tested the HappiPets Doggy Fun launcher by reviewing the design and features, including field-tests to measure ball distances and noise levels (for those dogs who do not like loud noises). 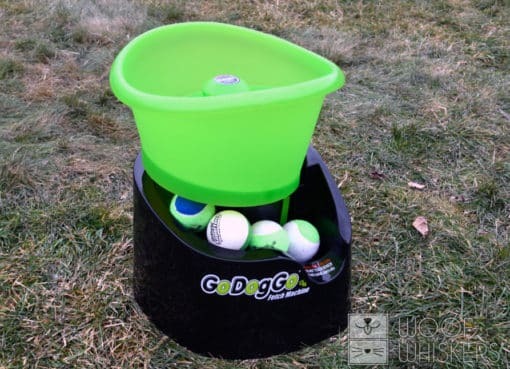 Keep reading below to see how we compare DoggyFun to other ball throwers on the market. 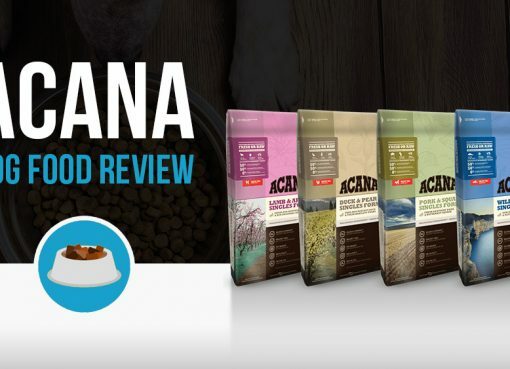 Our box came in great shape and the contents were packaged securely and functioned fully. Unboxing and setting up the Doggy Fun launcher took just a couple minutes – everything is plug-and-play. Simply plug the device in, set a distance setting, and place a ball in the chute! As we mentioned earlier, the design certainly resembles the iFetch launcher albeit a bit thinner and sleeker curves. The bright, vibrant orange stands out and match the fetching balls, both of which have the Doggy Fun logo stamped on them. Looking down onto the device you will see the funnel/chute where you place the ball to be launched. The opening is wide enough for your dogs to drop the balls themselves for a fully automated game of fetch. 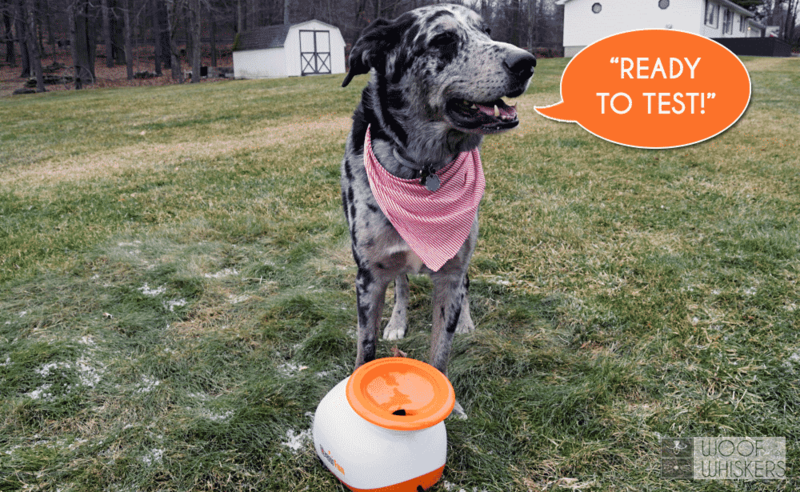 At first, the opening seemed rather small much like the SmartPult thrower (big funnels make it easier to train your dog to fetch it themselves); however, the 1.5” balls are quite small, making the funnel just the right size. After placing balls into the chute, they will launch out of the opening on the other side of the device after a moments delay. 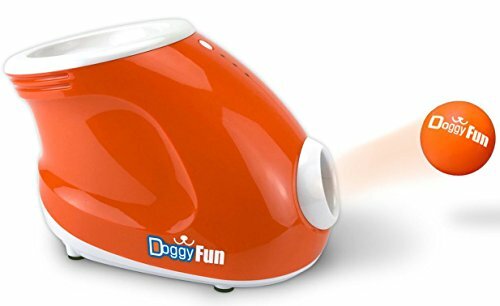 Doggy Fun is an incredibly simple automatic ball launcher with just basic distance adjustments. You can adjust the Doggy Fun launch distance to Near, Middle, and Far. HappiPets claims “the ball shooting power levels are slightly lower than the competition for safety and to help protect you and your dog.” If you’re looking for a launcher that has some power, this may not be the best option; however, small dogs that typically play indoors can certainly benefit from Doggy Fun. On the back of the device you will see the buttons to power the device on and change the distance settings, along with the power cable port. A blue LED lights up to indicate power and the selected distance setting. 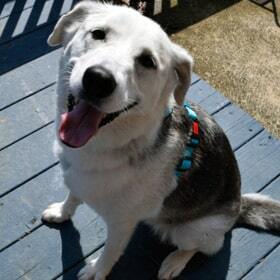 Doggy Fun can also be used outdoors by using 6 C batteries – no need to run an extension cord! The distance is not substantial, especially when outdoors. However, if you have a small dog this might not be of concern. Doggy Fun is intended for small dogs only due to the balls being only 1.5” in size. As a comparison, regular tennis balls are 2.5” in diameter. In addition, we found it odd that Doggy fun included two different types of balls with our package. One ball resembled a 1.5” tennis ball, which is the traditional type of ball used in launchers and the type of ball we recommend. The other three balls were also 1.5”, but are made of an odd squishy rubber material. The manufacturer claims they launch better and will not get stuck like other launchers out there. We typically do not encounter balls becoming stuck. Either way, we strongly prefer the “tennis ball” types and not these rubber ones which do not seem very durable. Thankfully, Doggy Fun sells additional balls (the good ones!) on Amazon so you can stock up on a few extras. We recruited our big boy to test the product out, even though the Doggy Fun is primarily intended for small to medium sized dogs. If you are afraid your dog may eat a small ball, do not try using this model! We were confident our dog will safely use the 1.5″ balls. Here’s a quick video to see the Doggy Fun ball launcher in action! A seemingly odd takeaway from the test is that the next ball consistently launches further. We’re not sure if the gear wheels was perhaps still spinning slightly when we loaded another ball which may have given the launcher a faster throw. 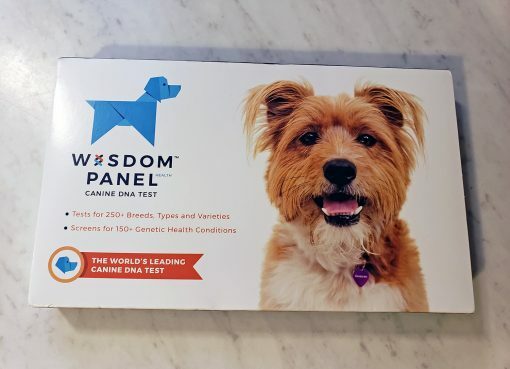 Either way, the launches were a bit unreliable in distances – but this could be a good thing for your dog. It also launched considerably further than the iFetch we tested. If you take a quick look at the picture below, you will see the areas each ball landed marked with a red flag. We understand that noises are a major concern for many dogs. In fact, one of our dogs is incredibly nervous around toys and devices that make noise. Because of this, we tested the Doggy Fun’s decibel levels and compared it to the other automatic ball launchers. The outcome can be seen in the graph on the right. You’ll notice the peak decibel reached 78 while the overall average was only 50db. This noise level is equivalent to a regular conversation. As the launcher warms up and prepares for a launch, there is a low-sounding hum which consistently gets a little louder and then “pops” as the ball is launched. We did notice the motor on the Doggy Fun started sounding a little bogged down, we’re not sure if it was the cold weather (35 degrees) or what, but nonetheless, it still launched fine. Doggy Fun appears to be heavily modeled off of the original iFetch thrower. The device works well for very small dog breeds, however they do not sell larger models for big dogs like iFetch does (iFetch’s larger model is the iFetch Too). The varying types of balls included in the box was a bit odd – we only let our dog use the one ball (which resembled a small tennis ball) as we were afraid she would easily bite through the other three which were made of soft rubber. We also seemed to receive our device amidst a slight branding change with the company, as we were confused by the varying names from the manufacturer. Overall, Doggy Fun falls short of many other automatic ball launchers on the market that we reviewed. It still performs well without any major issues, but at the price point, you may find more suitable options.